Anyone who’s been reading this blog for any amount of time will know that I am a huge fangirl of zines. 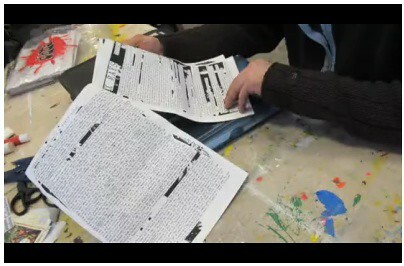 From late 2007 to early 2010 I ran my own, Read This Magazine (currently in the process of being dismantled in order to make way for something new, by the way); I am a follower/subscriber of many other small independent literary zines (including The Letter Killeth — see work by Chris Lindores in their latest! — and Words Dance) and will always encourage others to follow my lead. About eighteen months ago I was gifted a huge stack of vintage music fanzines by local Edinburgh zinester and blogger, Nine. All of this somehow led to me leading a zine-making workshop at Tollcross Community Centre on behalf of this collection on Tuesday night. I just want to say a huge thanks to everyone who came along — not least my sister and Lovely Boyfriend who didn’t have a great deal of choice in the matter. Thanks also to Sean Cartwright, Sue Steele, Julie Logan and Dave Forbes for your attendance and enthusiasm, and thanks of course to Stefanie Tan and everyone at TCC for the inspiration/organisation side of things. 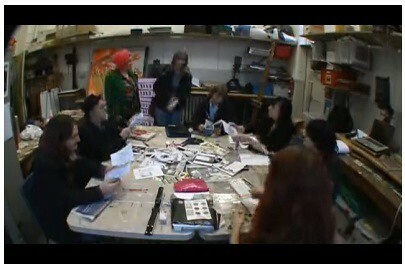 Assembled zinesters: Steve, Dave, Sue, Julie, Sean, Stefa, Helen and myself. 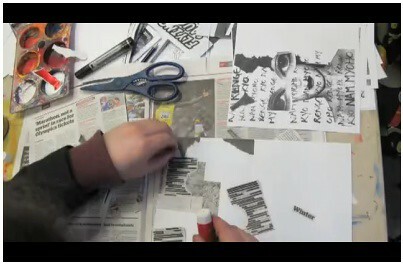 Sean checks out some old 90s music fanzines for inspiration. The cutting and sticking begins! 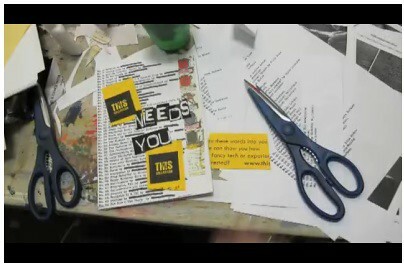 My zine coming together — this collection needs you! 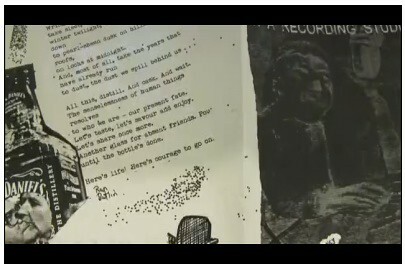 Dave’s finished zine — complete with glitter! 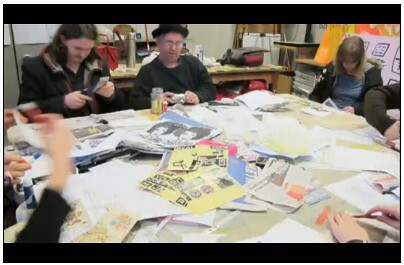 Print media is dead: long live zines! You are currently browsing the archives for the Publishing (zines) category.